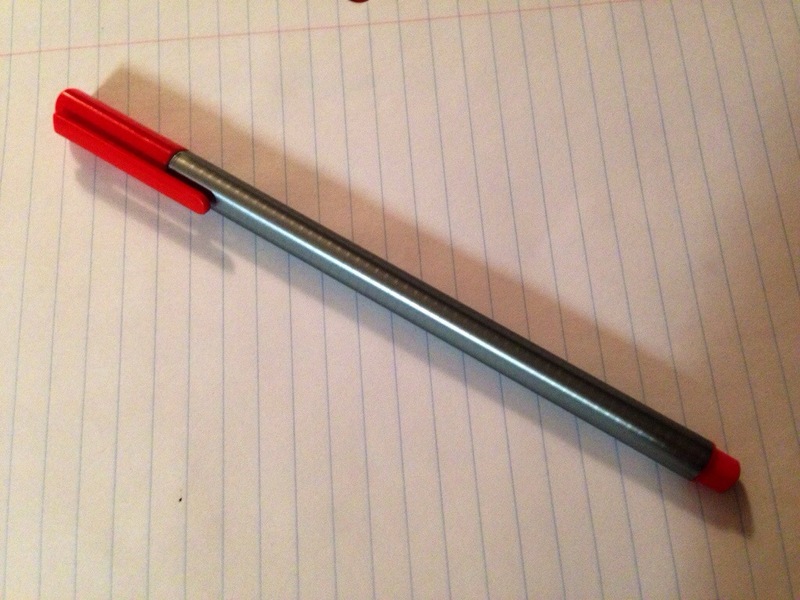 This is my red pen. As in, THE red pen. The one I use when I do all my super-productive, highly necessary editing work on my novel. I picked this pen out special, knowing what it would be for. I looked at all different kinds of red pens. I paid attention to the different between felt tip pens and ballpoint pens. I looked at the body shape and whether or not there was a gripper on the end. I compared the caps, the exact color of red, the length and width of the pen, and how fine of a line it drew. You may be thinking that I’m a freak (probably right), that I’m OCD (probably right), or that I’m extremely particular (probably right). However, the reason I was so selective when I went shopping for a red pen, is because I wanted to like it. That may seem obvious, but listen. I wanted to like the pen itself. Why? Because I would use that pen to pick out every flaw in my work. It was important to me that I like the method through which I criticized myself. Receiving criticism is never fun. Yet we, as humans, tend to be our own worst critics. While we get so offended when someone else says something critical, we are just as quick to believe every negative thing we say about ourselves. Be nice to yourself! You are the only you that you have. Do you like the way you assess and criticize yourself? Have you ever thought about it? It might be time you checked out your mental red pen.